Royal mail privatisation – taxpayer, prepare to be ripped off (again)! 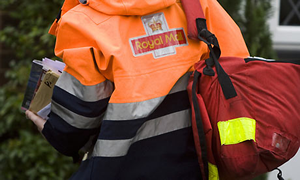 As a prelude to its privatisation, the announcement this week that Royal Mail made £440m profit for the year ending March 2013 was certainly an eye opener. Now the government has announced its intention to privatise Royal Mail, we must face up to the prospect of what the postal service might look like in a few years’ time. If the energy or rail privatisations are anything to go by those prospects are not good.